Today’s Deal over at Amazon is a great opportunity to pick up a huge external power pack for your phones and tablets without dropping a lot of cash. The RAVPower 22000mAh Power Pack is available today for $29.99, a savings of 70% off the regular price of $99.99. The pack, despite its huge battery, is relatively small at roughly the size of an iPhone 7 Plus and has 3 USB ports for charging three devices at the same time. In fact, you can get 5 charges of your Galaxy S7 out of this RAVPower pack and an amazing 9 charges of an iPhone 6S. Each port of the pack can output 2.4A of power and uses RAVPower’s iSmart technology for fast, smooth and safe charging of your devices. The great thing about a power pack this size is that you can carry it in your backpack or case and keep it handy for your phone but you don’t have to recharge the pack itself every time you use it. One most Android phones out there, this pack is going to give you 4-6 charges before a recharge is needed. That can be really handy on those long business trips where you are not able to get to a wall outlet to charge your phone. 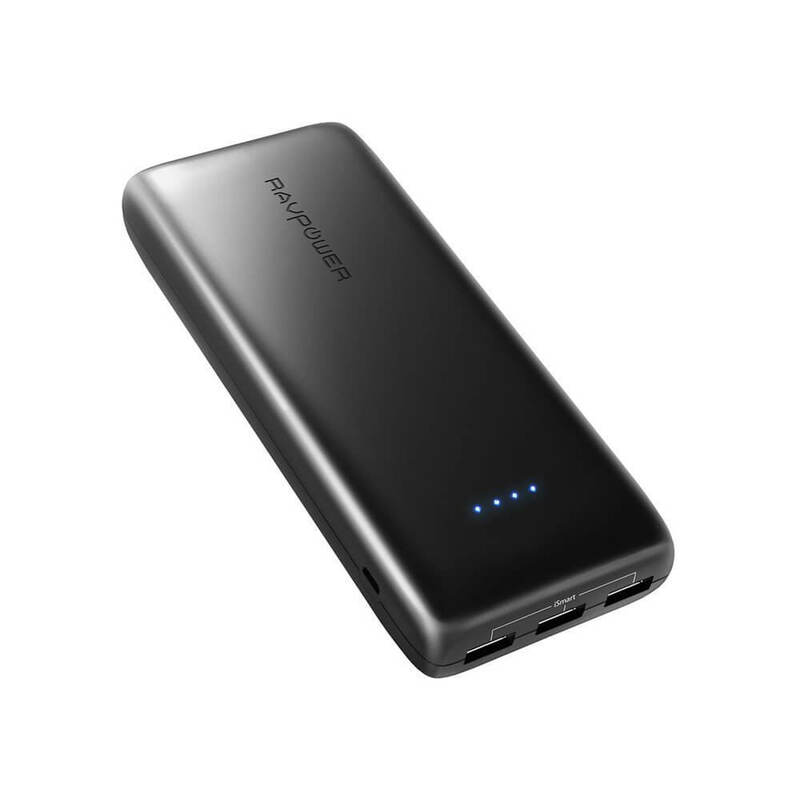 The sale on the RAVPower 22000mAh pack is today only. Head over to Amazon to get all the details and you can order it in black or white for the same price. Oh, and it is Prime eligible so shipping is free.